The great French flute player Jean-Pierre Rampal, to whom the Suite for Flute & Orchestra by Florent Schmitt was dedicated. 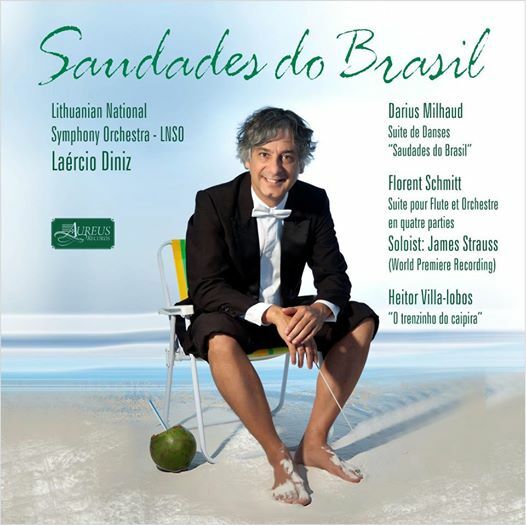 Welcome news in that Florent Schmitt’s Suite for Flute & Orchestra, Opus 129, is receiving its world premiere recording by flautist James Strauss, with Laercio Diniz conducting the Lithuanian National Symphony Orchestra. The Suite was composed in 1954 when Schmitt was 84 years old. It was dedicated to the great French flautist Jean-Pierre Rampal, who also premiered the work. The four movement suite is a good example of Schmitt’s late style — with a nice blend of contemporary and neo-Romantic elements. This YouTube clip contains brief excerpts from each movement: http://www.youtube.com/watch?v=w0xS37o1K6k, and the entire recording of the Suite can be heard here. 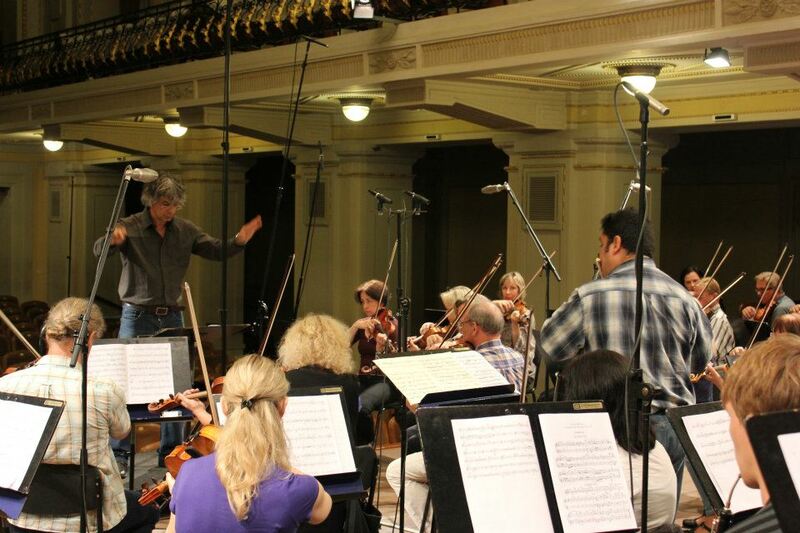 The recording session for the premiere recordings of Florent Schmitt’s Suite for Flute (2012). The balance of the recording consists of music by Darius Milhaud and Heitor Villa-Lobos. This entry was posted in Classical Music, Composers, French Composers and tagged Classical Music, Florent Schmitt, Flute, Flute Music, James Strauss, Jean-Pierre Rampal, Laercio Diniz, Milhaud, Music, Rampal, Schmitt, Villa-Lobos. Bookmark the permalink. Unfortunately Jean-Pierre Rampal never did play the premiere of the Suite en quatre parties, Op. 129. According to Rampal in his book “Music, My Love” [RAMPAL, J.-P Musique, ma vie: Mémoires, Calmann-Lévy, Paris, 1991 (traduction of Music, My Love, Random House, New York, 1989) pg.171 and 175-176], the Suite was never played by him or by anyone else in the orchestral version. And it was never recorded at all. I always thought there was no impressionist flute concerto ever composed — but then found this one: The Suite really sounds like a Debussy or Ravel concertante piece. And the ending is remindful of Daphnis et Chloe, with a dance in 5/8 time. Thank you for clarifying the information about Jean-Pierre Rampal, Mr. Strauss. I have corrected the blog entry to remove the reference about the premiere performance. Thank you also for discovering the Suite and being the first to record this music!